St John’s Day, December 28th, 2014.
and this is the one our message is about. and our hands touched this Word. John is the son of Zebedee and Silome, probably younger brother to James; a professional net fisherman in the family business around the Sea of Galilee. He and his brother must have been God listeners; God searchers, because it seem highly likely that they both went down to the Jordan to be baptised by John the Baptiser, and stayed with for a time (John 1:35-42). Jesus called them. He gave them a name, “Sons of Thunder”. Many suggest they were either loud in personality or maybe natural born leaders that had the presence among others. Whoever and however John was, his life was completely revolutionised by the years he spent up close and personal with Jesus of Nazareth and what he was enabled to see, hear, experience and then write down was simply stunning. His gospel is a masterpiece structured around what he calls the seven signs of God’s presence – beginning at that wedding feast in Cana right up to the coronation of Servant King Jesus on the Roman cross of death, and then the never-ending sign of Jesus’ resurrection to life forever as ruler of all things. Another layer to his telling is the Seven “I AM” statements of Jesus: “I am the good shepherd, I am the light of the world, I am the bread of life….”, not symbolic, but real statements of truth..
Luther, had a very high regard for John and his witness to Jesus. “John writes very little about the works of Christ, but much about his preaching, while the other evangelists write much about his works, and little about his preaching. Therefore John’s gospel is the one, fine, true and chief gospel, and is far, far to be preferred over the other three, and placed high above them…” (LW 35:362). The other gospels – the “synoptic” gospels; “syn” meaning “together, “optic” meaning “see” – the “seeing together’ gospels, are still OK! But John’s account is different – more like a painting than a photo. Whatever you make of the gospels and the man, John’s is a world-changing story, a life shaping Word powered by God’s Spirit working in this man. Along with Peter and own brother, James, he was permitted to witness the healing of the one of the synagogue rulers’, Jarius’ daughter. He was allowed to witness the Transfiguration of Jesus and see Moses and Elijah having chat time with Jesus. He was one of the three who were as close to Jesus as any person could be as he suffered in that dark Garden of Gethsemane. This ‘up close and personal way’ John tells of God’s working in Jesus of Nazareth surely comes from his own experience of personally knowing the love, acceptance and friendship of the Saviour. A sign of this is in this famous way he names himself in his gospel. He names himself, “the disciple whom Jesus loved”. “The disciple whom Jesus loved”. What a name. What a way to sum up who you are in Christ. “Disciple” – learner, follower, practitioner of his teaching, doer of his way. “The one whom Jesus loved”: a man, a woman he loves – like a badge to wear in the face of it all. A person loved then and now no matter what and the action is his. He loved. I received. He loves, I receive. The weight is on what he did and does. So, he gets the glory. I remain unnamed. My name is important to him because he gave me a name descriptive of who I am; “a Son of Thunder”, but his naming of me is what counts. I wear his name like a badge of honour, like a name tag to welcome people into the story of who he made me to be. There must have been this very unique and close relationship between the Saviour and the man. “John. Take in my Mum. Mum, rely on this man as you would me”. “From that time on, this disciple took her into his home” (John 19:27). Someone once said that John was the only one of the Twelve to actually hear the heartbeat of God. He is the one who “reclined at the table” with Jesus on that night he was betrayed – the new Passover. John, literally leaning on his elbow at the low table, leaning on Jesus as they shared the Passover meal with the betrayer and all the rest (John 13:25). He is the only one who gives us that amazing scene of the washing of the disciples’ feet on that fateful night. “Having loved his own who were I the world, he (Jesus) now showed them the full extent of his love” (John 13:1). John is used by the Spirit to tell us of Jesus in terms of pure love – self-sacrificing, self-giving, love and kindness like none other. John, along with Peter, seemed to take up a central leadership role in that first church in Jerusalem. He also teamed up with Peter on at least one occasion as they set out to evangelise Samaria (Acts 8:14). Like the other Apostles, John was scattered a long way from Jerusalem after twelve years of working in that first place of call. The persecution under Herod Agrippa led to this scattering of the church. It seems that he ended up in Asia Minor – around Turkey. He writes his three short letters to little communities of the gospel there. It is widely believed that John was the only one of the Twelve to live to old age as he served his time on the Greek island prison of Patmos. Like Nelson Mandela, imprisonment does not stop him! “Our ears have heard, our own eyes have seen, and our hands touched this Word”, he declares. 2 The one who gives life appeared! We saw it happen, and we are witnesses to what we have seen. …3 We are telling you what we have seen and heard, so that you may share in this life with us. And we share in it with the Father and with his Son Jesus Christ. Are you a seeker of God like James and John? 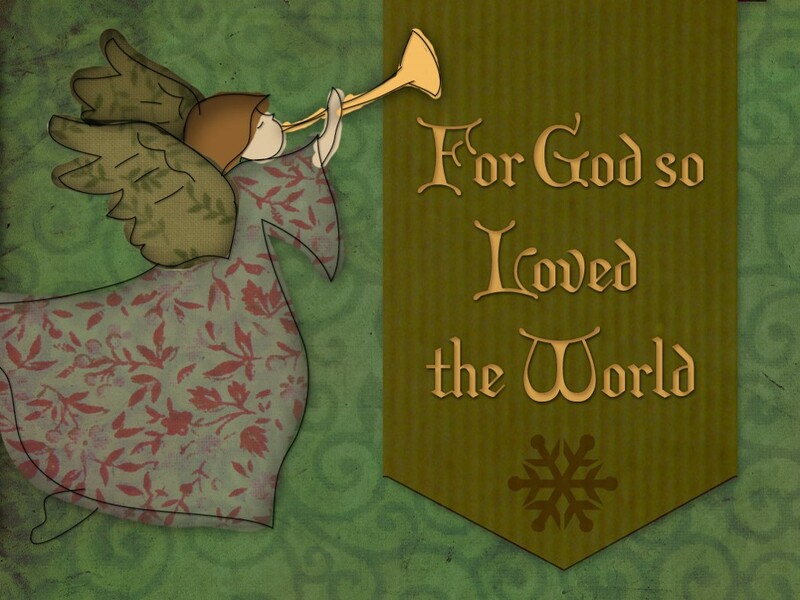 Will you respond to his call and receive his great love in all that he has done and still says? Does the love of the man, Jesus, move you and make you move, or is he still out of reach for you this years’ end? Is John out of reach? Sure, he named himself “the one whom Jesus loved”, but can I? Friend, “God is love”, and “he first loved us”, says the Evangelist. As John famously put it, he is not here to condemn you but save you from yourself and from the evil we know. Jesus is alive and he is the King of love – your Good Shepherd, Gateway to life in his community in his presence. This man of love and man of that heavenly vision we now call the “Revelation of St John” at the end of the bible is calling out to us not to think him so special but Jesus as special. “I am the way, truth and life”, John hears Jesus say. “Anyone who has seen me, says Jesus, has seen the Father”. John is not out of reach. Jesus is not out of reach. All of the love of the Shepherd were bestowed on you in your baptism and he gives them to you now. “If you love me”, says Jesus, “you will do what I teach and the Counsellor will be with you to show you how to remain in God’s love”. St John? Saint You! You are the disciple whom Jesus loves. Because he is so very, very gracious.